Too hypey? What do you mean? This is the internet marketing industry! We’re supposed to bring the hype, right? Not exactly. Too much hype disqualifies you from being awarded Product of the Day. And your product might get flagged for it. Our compliance team works hard to make sure your sales funnels are in perfect working order and are compliant with the FTC before they’re approved to generate sales. If they’re not, you’ll get a message stating that you have products requiring attention. If you get this notification, and the issue is that your sales page is ‘too hypey’, you might be a little confused. Isn’t that what you’re supposed to be doing? Hyping up your product so that people will want to buy it? Well, yes… But, there is a line you can cross between an acceptable amount of attention-grabbing copywriting and being ‘too hypey’. Using over-exaggerations and off the wall promises in your sales copy is a sure way to lose the trust of your potential customers. And since we all know that people make purchases from those they know, like, and TRUST, doing something as silly as using too much hype on your sales page would be ridiculous, right? What does ‘too hypey’ even mean? According to one of the definitions listed in the Oxford English Dictionary, ‘hype’ is a deception carried out for the sake of publicity. Just the fact that the definition contains the word ‘deception’ should tip you off that it’s a no-no when it comes to sales copy. Watch Your Conversions EXPLODE Within 24 Hours! This Brand New Strategy Never Fails! Of course, the examples used above are pretty extreme. We don’t run into sales copy that crazy very often. And even when we do, it’s not always an intentional act to deceive. But, you see what we mean here about ‘too hypey’ now, don’t you? Great copywriting doesn’t use this type of tactic to gain attention. Instead, it speaks directly to a particular audience about a problem that they have. It’s specific. It’s useful. And it’s never blown out of proportion in relation to its actual ability and effectiveness. 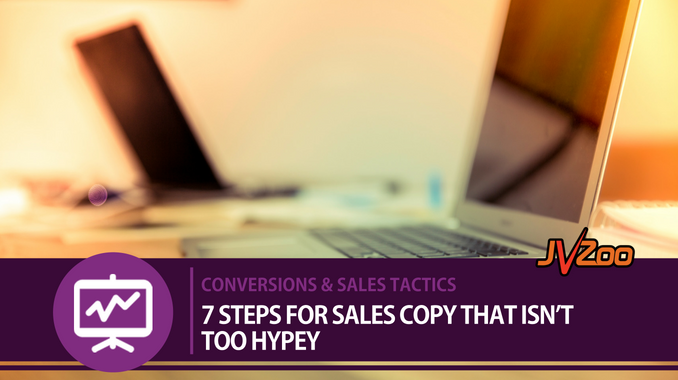 You can create attention-grabbing, high-converting sales copy without being too hypey. It just takes a little more effort. Know Who Your Target Audience Is – Understanding exactly who you are speaking to and what their needs are will help you choose the language that resonates with them the most. This is called the ‘tone’ of your sales copy. Using the right tone will allow you to establish an emotional connection with your prospects, whereas generic hype will only drive them away. Pinpoint What You Want To Say – Your overall message should focus on how your product can help your potential customer. 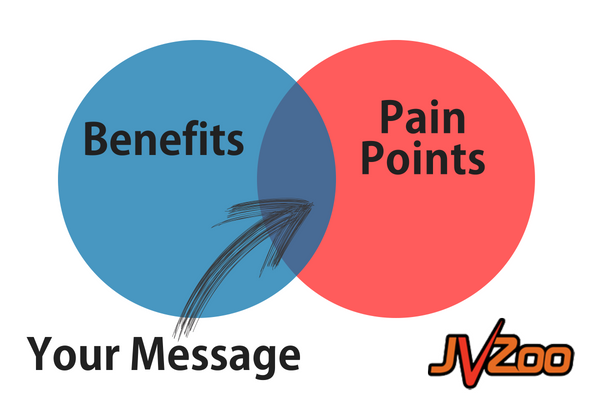 Determine where your audience’s pain points overlap with the benefits of your product. Your message will be found within that overlap. 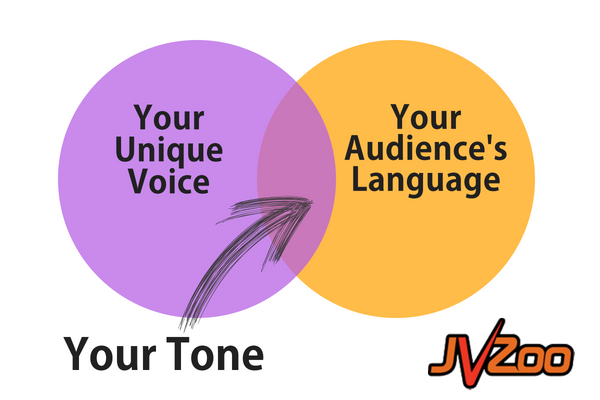 Find Your Tone – In order to determine how to relay your message to your target audience, you need to find out where your own unique voice overlaps with your audience’s language. What kind of words do they use? Research what catchphrases and descriptive words they tend to use most often. Then, mimic this type of language in your sales copy. Talk To Them Instead Of Writing To Them – Using a conversational tone in your sales copy can be a great way to build trust and come across more like a human being. Sales have become more personal over the years. Prospective customers don’t fall for hype-filled sales copy the way they used to because they’ve learned to be cautious and suspicious of claims that sound too good to be true (and usually are!). Use your message and your tone to describe your product or service and how it will benefit the reader in a way that helps them connect with you. Back Up Any Claims With Facts – Make sure that any claims you make about your product are backed up with facts. People have become master researchers. If you claim that your product does XYZ, it had better do XYZ! Of course, not everything works for 100% of the people who use it 100% of the time. That is why you must avoid using over exaggerated claims that imply that yours does. Just be honest and have proof for any claim that you make! Highlight The Features & Explain The Benefits – Features and benefits are both important parts of your sales copy, and they should be used together to generate the most conversions. Many times, though, the two are confused or thought to be basically the same thing. This isn’t the case. Features are facts about your product or service and what it can do. Benefits explain what can be accomplished by using your product or service. See the difference? – Benefit: When your customers buy a membership, their information is automatically transferred to your WordPress site! – Benefits: Sellers get more traffic to their webinars & Affiliates earn higher conversions. Let your customers know what your product is and does (the feature) and how it can help them with their problem (the benefit). Focus On The Relationship More Than The Sale – Or, put another way, think more about your customer than you do about your wallet. This all goes back to the Know, Like & Trust factor. People can sense through your sales copy where your heart truly lies. They can tell if you’re just out to make a buck or if you honestly want to help them with their problems. When you make it a point to inform, educate and entertain your audience and refuse to attempt to fool them with too much hype, you will make an impression – a good one. And, the next time you send them to your sales page, they won’t be hesitant about clicking the link or making the purchase. By following the steps above, you can avoid having your sales pages flagged by the JVZoo compliance team for being ‘too hypey’. AND, you’ll increase your chances of building strong relationships with your current and potential customers and Affiliates.